Yesterday I was doing some research on the chyawanprash market in India and I found some rather interesting stats. The Chyawanprash market which is roughly Rs 400 crore saw a 25% growth in 2010. This is after a decade of single digit growth for the category. Then in the evening I was reading how Pepsico was investing heavily in the health and wellness segment with its juices and brands like Quaker oats. And at night I read an article which showed that Britannia was heavily investing in the ‘Nutrichoice’ brand to promote wellness. So everyone has suddenly jumped on the wellness band wagon. From Dabur to Ranbaxy and from Britannia to Pepsi all want to make products to make you healthy. But that brought me to another question, what has changed all of a sudden? Why concentrate on wellness now? Is Indian really in danger of being declared unhealthy? One easy solution I found on the WHO site was that when corporations focus on disease they limit their market, but when they concentrate on wellness they have the entire human population. In India’s case almost 1 billion plus market make a very attractive proposition. Terms like baked, low fat, no fat, cholesterol free, 3 omega, etc have become marketing clutch words. The focus is to get us healthy and wise. But do we really need these products? My twelve years in the healthcare industry combined with the 7 years in medical school have taught me that the human body is more than capable of taking care of itself absorbing the right nutrients from the diet. The balaced diet chart that all of us read since kindergarten. Stress levels among Indians is actually lower this year as compared to last year. Ina survey by accounting and consulting firm Grant Thornton, reveals that only 42% of Indian businesses felt an increase in stress levels as compared to 56% last year. The study was conducted amongst 6,000 businesses globally. So probably taking these wellness supplements have helped Indians reduce their stress levels. To add to this many other initiatives like Yoga Camps and Art of living classes might have contributed to the lowering stress levels. But the question still remains why the emphasis on wellness now, maybe the competition in normal products have forced companies to jump on to the wellness bandwagon. 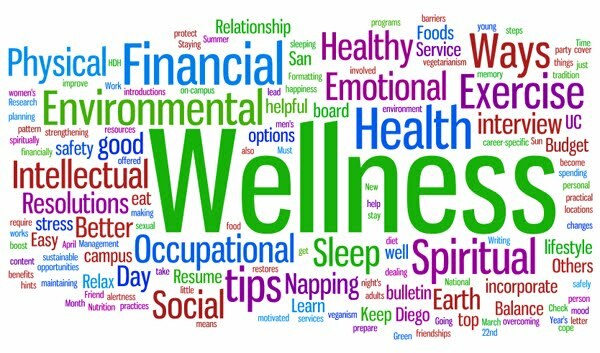 Wellness has a positive ring to it as opposed to medicine or health as these words are associated with illness. No one wants to be told they are ill – No even a person who needs medical attention. Calling a product a wellness product means the public’s approach and expectations from it are generally positive and even if the product does nothing to inprove one’s health, the consumer still feels happy in the knowledge that he is having some thing “good”. As opposed to this, there is a sense of guilt associated with eating products like chips, chocolates and fried snacks as we know/ have been told these are unhealthy or junk food. Hence people normally like to restrict these for occassions. Why the fetish for wellness? Because now more than ever the human being is unhappy with himself/ his self image. Women want to grow thinner to be able to afford the new FCUK clothes which are now quite affordable. Men want to build muscle because they can then impress the women, who are now available at their college/ work place (unlike in the past where interaction between men and women was rather restricted). In one word – Access to all things good is now possible. We have gyms to get toned bodies like film stars. We have jobs that give people pot loads of money to buy fancy cars and gadgets. Over riding all that is a stereotype of what some one who possesses all this looks like/ lives like. Eg: We are inspired by people who play golf because we assume that is how “leaders” – present, future and aspiring – should live lives. To look good in a golf outfit, you need the right accessories, right physique and right circle of frends. You dont see Gold clubs serving chai and samosa. You see them serving diet coke and low fat snacks. Hence that is what you like to keep in your house to maintain the image. I agree that wellness has become a very important USP. but I am also seeing wellness as a form of preventive care which India desperately needs. Also treatng the wellness sector puts the emphasis on the entire population and actually increases the potential market size of most healthcare firms. It may need a new business model but again wellness unlike sickness is a year long season.